Students will complete a Senior Project in the Major mostly likely during the last two semesters of their program. The first semester includes research and preparation. 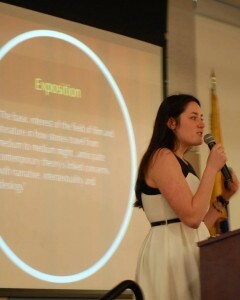 The second semester includes completion of the work and presentation at the Ramapo College Honors Symposium and one outside conference whenever possible. Each student will select his/her own Faculty Sponsor who will guide the work. 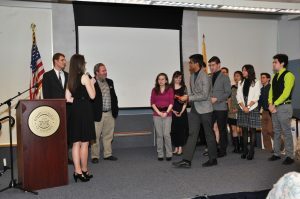 The student and Sponsor will also select one additional faculty Reader whose expertise is complementary to the Project. Students should consult with the Director during their Junior year in order to discuss student selection of a Faculty Sponsor and their project proposal. Gain a comprehensive knowledge of the Senior Project and what is involved in the process. The earlier you are aware of it and comfortable with the parameters, the easier it will be for you to complete. By the end of this year, you should be narrowing the field in which you might conduct your research. Begin seriously considering what field of study you will choose for your Senior Project. By the end of your Sophomore year, you should be well into the core of your major and thereby giving serious thought to which of your interests you would like to explore for your thesis. By the end of this year, you are required to turn in a list of three ideas you are considering choosing for your Senior Project. At this point, you might consider starting your Senior Project to offset the workload during your Senior Year. Most students will spend this year determining the subject of their project and then seek out a faculty sponsor and one faculty reader. You must submit a Senior Project Proposal Form by May 1st of your Junior Year. You have the option to have your Senior Project count as an Independent Study. If you choose to, you must fill out a Contract for Honors Independent Study and turn it in to the Honors Office and submit two forms to the Registrar: an Independent Study Registration Form (available at the Registrar’s Office) and a Contract for Independent Study.. 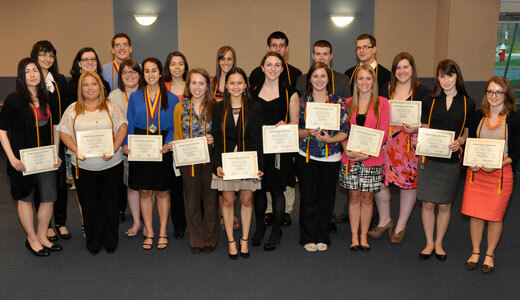 Most Honors students spend their senior year completing Senior Projects. Check in with your Sponsor and Reader on a consistent basis and see to it that you’ve completed the project by the March deadline/ You will be required to give a brief presentation or present a poster of your research at the Symposium to your family, your peers, and the Ramapo faculty, staff, and administration. 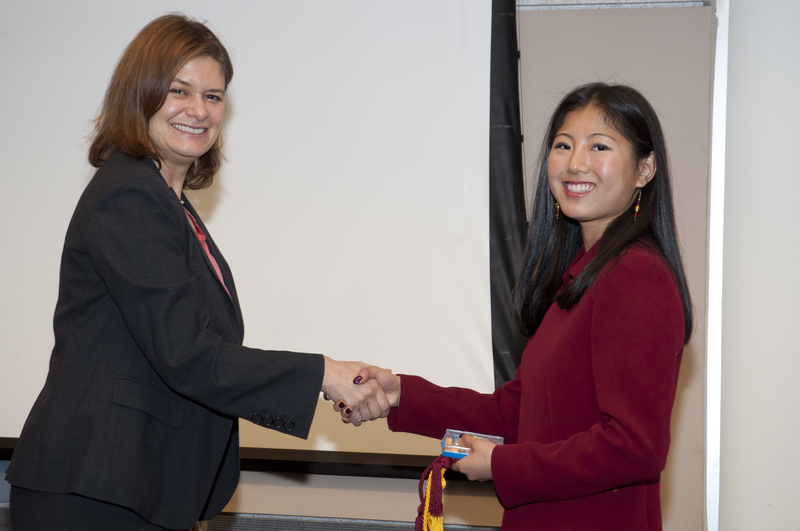 It is at this time that you will receive your Honors medal and certificate. It should also be noted that the Application for Graduation with College Honors is due by November 15th of your Senior year if you are graduating in May. For forms and documents related to the Senior Project, visit the Documents page. On our Tenth Annual Symposium! 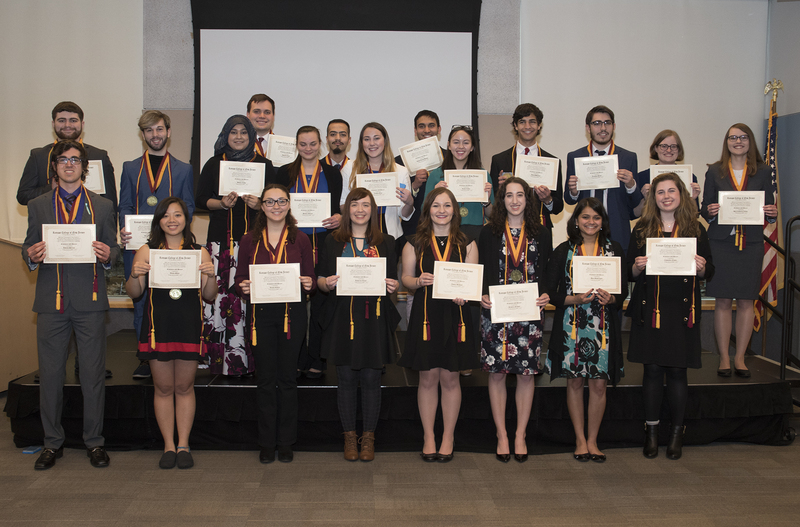 On April 4, 2018, the College Honors Program celebrated the work of students and their faculty mentors on Senior Projects in the Major. On our Ninth Annual Symposium! 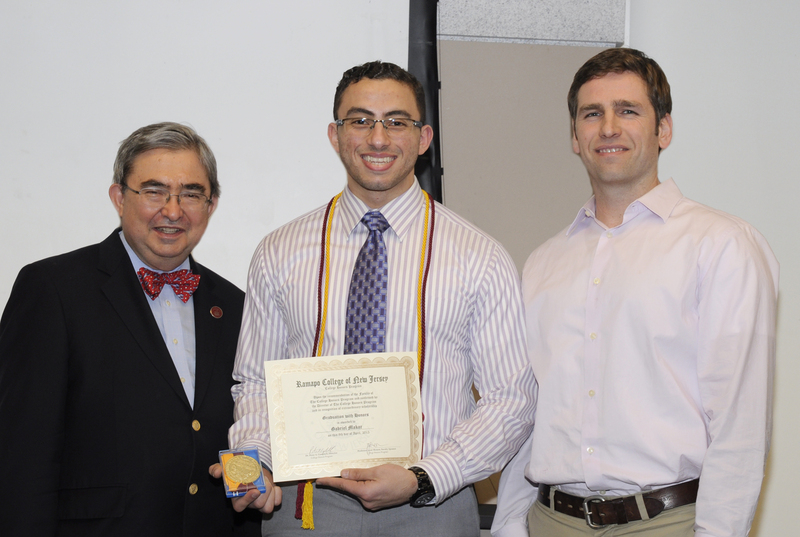 On April 5, 2017, the College Honors Program celebrated the work of students and their faculty mentors on Senior Projects in the Major. On our Eighth Annual Symposium! 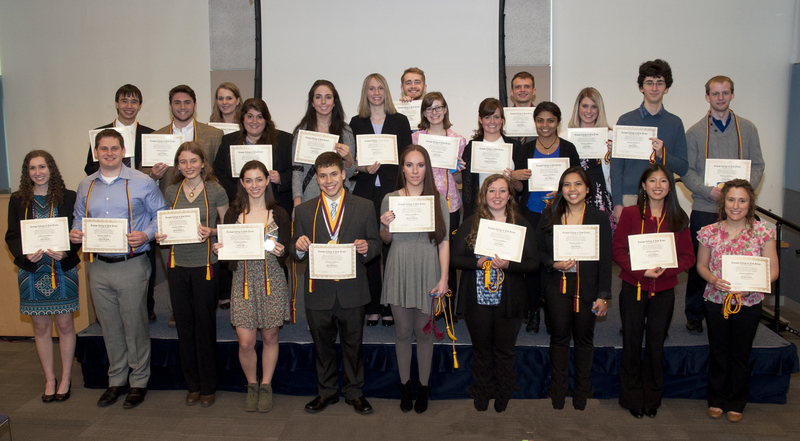 On April 6, 2016, the College Honors Program celebrated the work of students and their faculty mentors on Senior Projects in the Major. 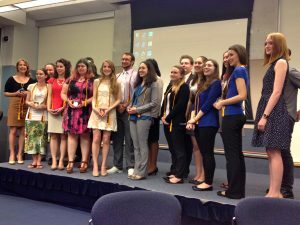 To view the list of presentations, click here.This year we celebrated the work of 25 graduates in College Honors. 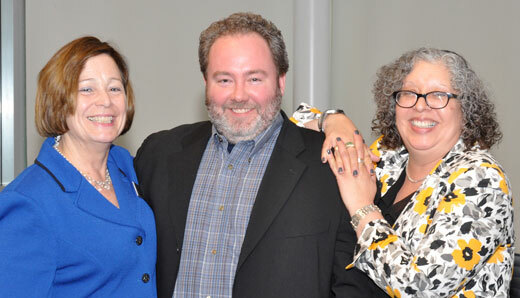 (from left to right) Dr. Susan Hangen, Robert and Ann Hiden, Dr. Marta Vides. 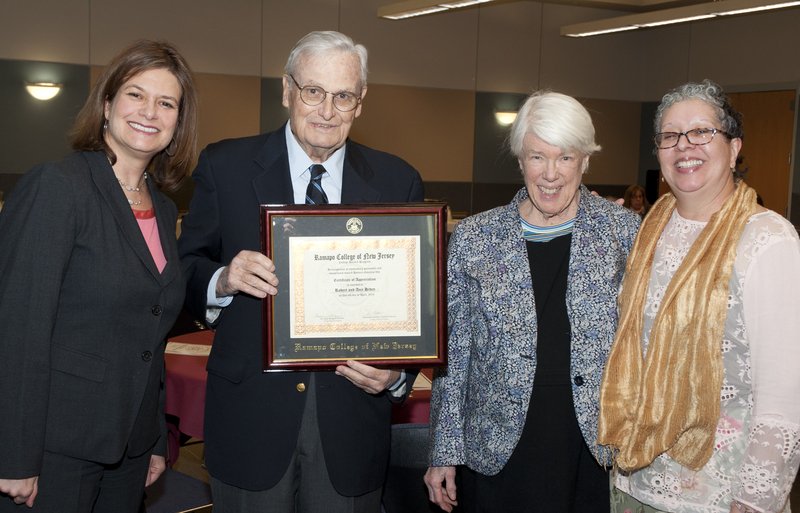 Robert and Ann Hiden were recognized for their tremendous generosity in contributing to the Honors Program Study Abroad initiative. Dr. Susan Hangen handing an Honors medal to new graduate Lauren Schmidt during the Regalia Ceremony. On our Seventh Annual Symposium! 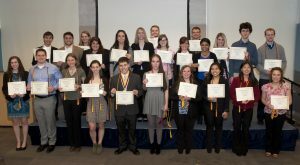 On April 9, 2015, the College Honors Program celebrated the work of students and their faculty mentors on Senior Projects in the Major. To view the list of presentations, click here. 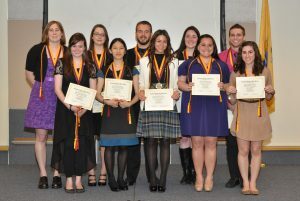 This year we celebrated the work of 24 graduates in College Honors. 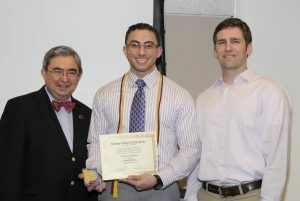 President Peter Mercer (left) stands with new Honors graduate Gabe Makar (center) and his faculty sponsor, Dr. Joost Monen. On our Sixth Annual Symposium! 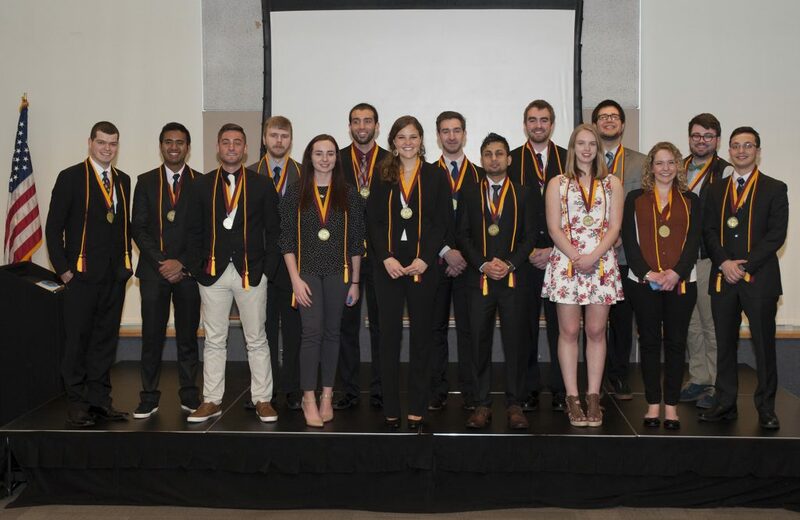 On April 9, 2014, the College Honors Program celebrated the work of students and their faculty mentors on Senior Projects in the Major. To view the list of presentations, click here. 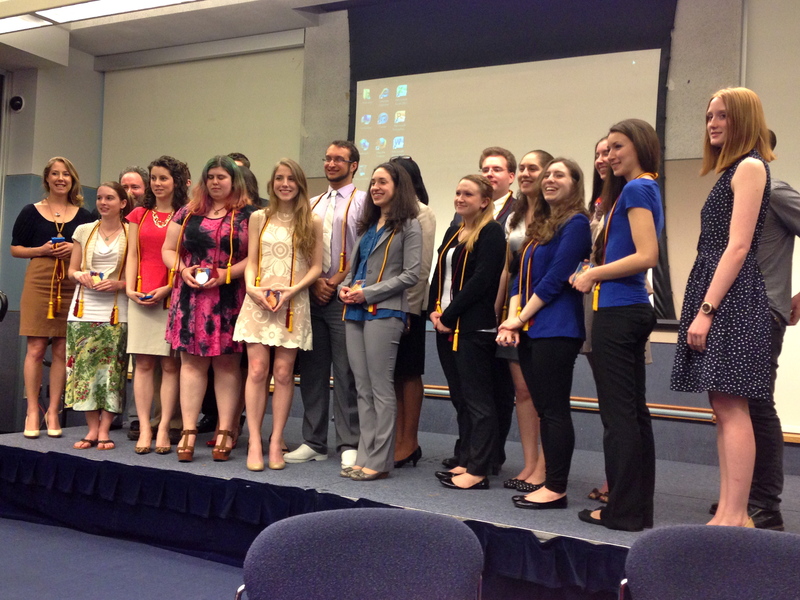 This year we celebrated the work of 10 graduates in College Honors. Dr. Peter Campbell with a student who has just received her Honors medal. The Executive Board gives a brief presentation before the Regalia Ceremony. On our Fifth Annual Symposium! 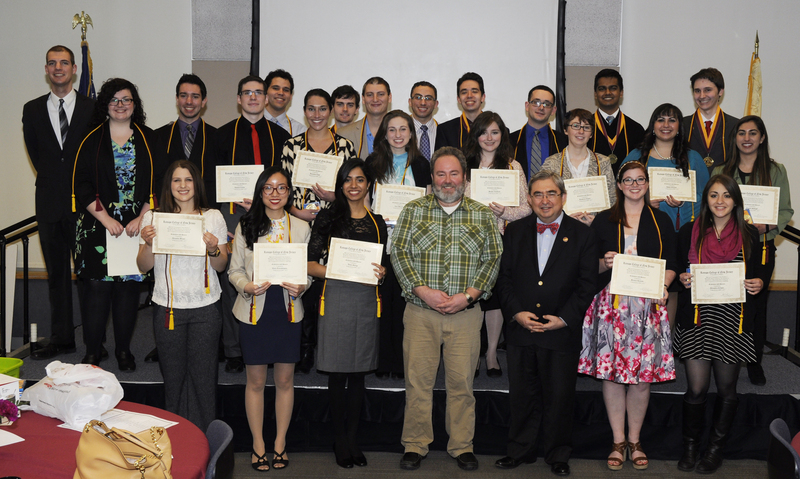 On April 10, 2013, the College Honors Program celebrated the work of students and their faculty mentors on Senior Projects in the Major. To view the list of presentations, click here. 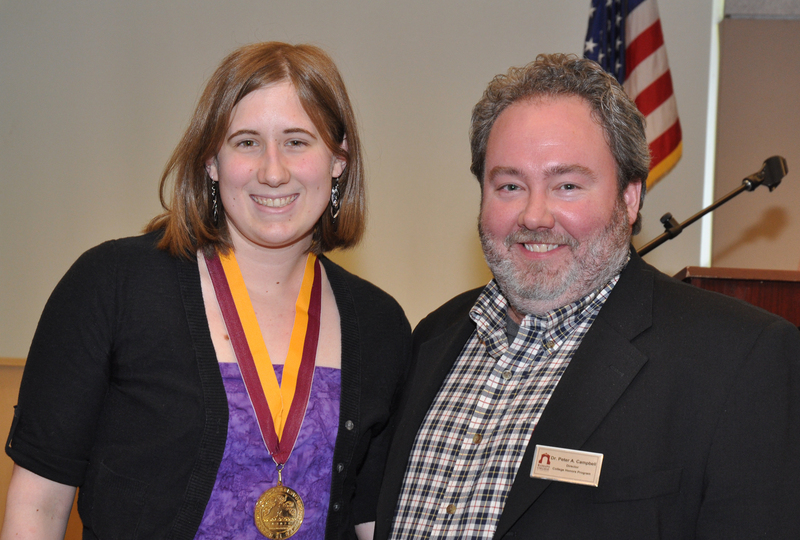 This year we celebrated the work of 18 graduates in College Honors. On our Fourth Annual Symposium! On April 4, 2012, the College Honors Program celebrated the work of students and their faculty mentors on Senior Projects in the Major. This year we celebrated the work of 28 graduates in College Honors. The 2010-2012 Advisory Board celebrated the work of students and their faculty mentors on Senior Projects in the Major. 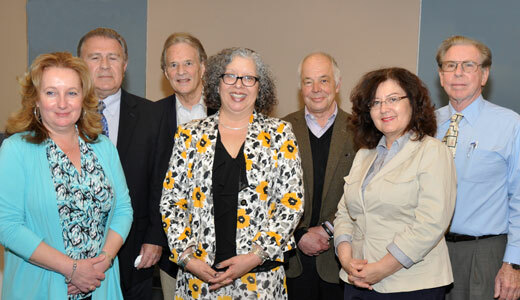 Dr. Jacqueline Braun, Dr. Bernard Langer, Dr.William Frech, Dr. Marta Vides Saade, Dr. Bernard Roy, Prof. Edna Negrón and Dr. Art Felix. 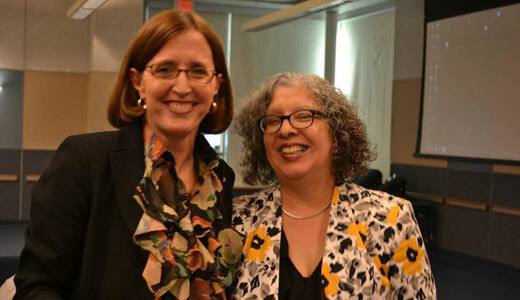 Celebrating their work together – Ms. Karin Colquitt, Program Assistant and then- Director, Dr. Marta Vides Saade.